Music Mixer Eric Schilling, at the 5.1-channel mixing control center for the live music segments for The X Factor. The monitoring system, consists of Genelec 8250A and 8240A Bi-Amplified DSP Monitors, together with a 7260A subwoofer. 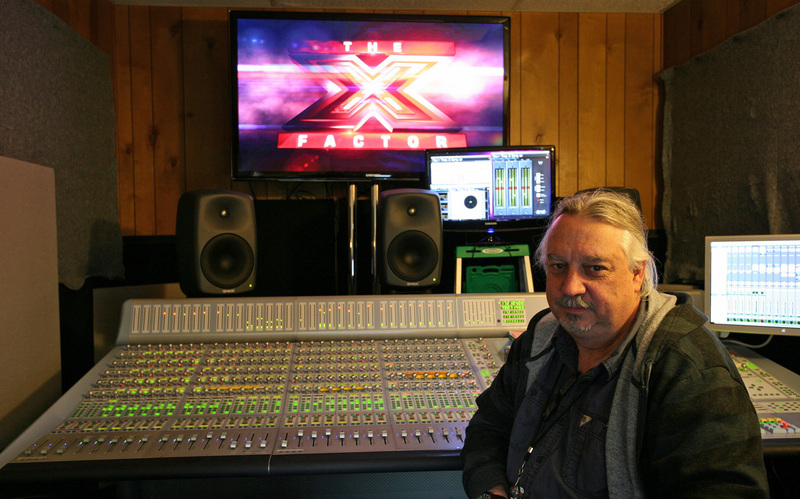 NATICK, MA, December 8, 2011 — Music mixer Eric Schilling is using a Genelec 8200 Series Active DSP Monitoring System on the U.S. television premier season of The X Factor to create the 5.1-channel mix of the live music segments for broadcast on the FOX network. The system, comprising Genelec 8250A and 8240A Bi-Amplified DSP Monitors, together with a 7260A subwoofer, was supplied by remote broadcast music production specialists M3 (Music Mix Mobile) and was specified by the show’s production audio mixer, Michael Abbott, a veteran broadcast mixer and sound designer, and the owner of All Ears, Inc. The X Factor, which is franchised globally, made its U.S. television debut on September 21, 2011, and extends through December 22. The show originated in the U.K., where it has frequently been #1 in the ratings over its eight seasons. Photo Caption: Music Mixer Eric Schilling, at the 5.1-channel mixing control center for the live music segments for The X Factor. The monitoring system, consists of Genelec 8250A and 8240A Bi-Amplified DSP Monitors, together with a 7260A subwoofer.